Designer scarf wars continue with rapid changes in style, display, and seemingly most importantly More Gucci Ties a Scarf Knot implementation. 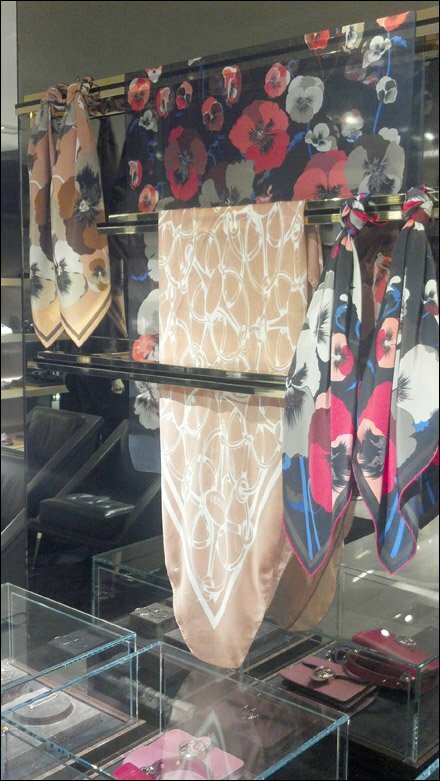 But the Gucci in-store bar merchandiser as scarf display seems timeless. 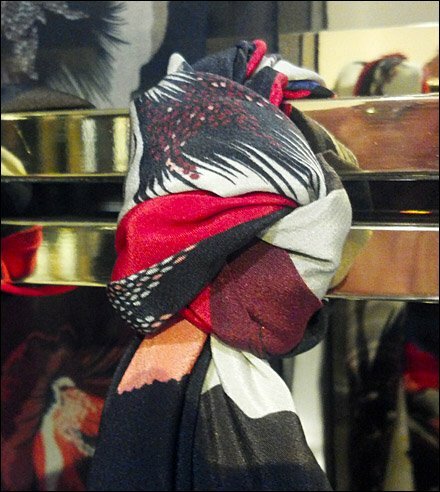 CLICK the More Gucci Ties a Scarf Knot feature photo or thumbnail inset for a close-up view of the knot tie itself. Then move on as outlined below.